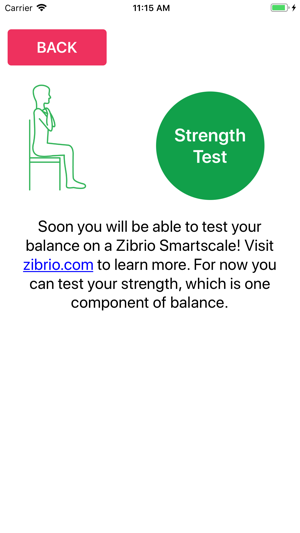 The Zibrio Balance Coach is your personal guide to optimizing your balance health. 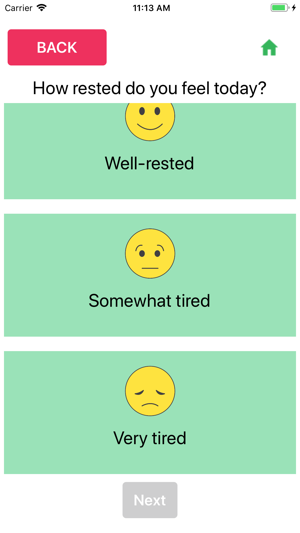 Fill out your balance profile to understand what lifestyle factors may be helping, hurting, or hindering your balance. Whether your goal is peak performance or fall prevention, the Zibrio Balance Coach is there for you every step of the way. Get balance advice specially tailored just for you. 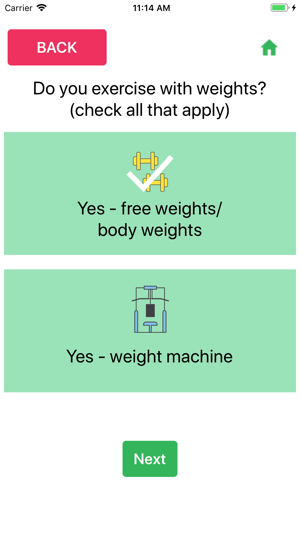 Track your balance. 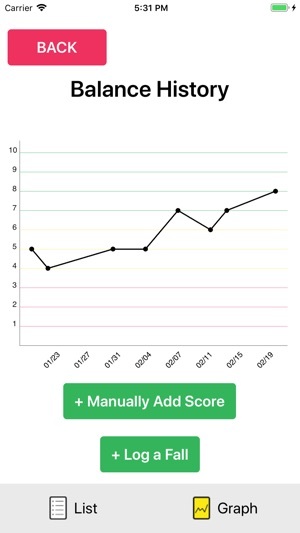 View your balance history and gain insights into your balance over time. 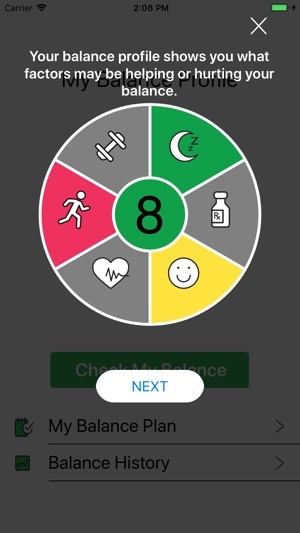 This is a good app for anyone wanting to learn more about balance. 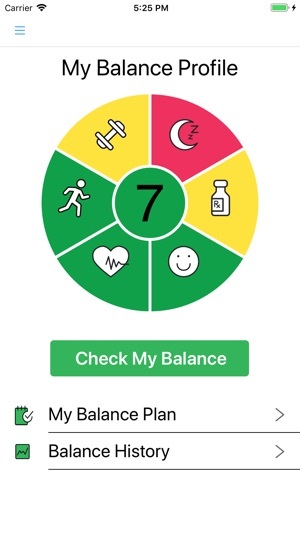 It walks you through questions about different areas of your life that affect your balance, like sleep or medications. I didn’t really know those things affected balance until now! Very informative.